You are here: Home / She Who Must Be Obeyed / I have been battling with negative thoughts with some situations in my life that I don’t seem to get a handle on. Ted talk by Matthieu Ricard: taking on: The habits of happiness. This talk struck a chord in me as I have realised I have fallen away from not bring in my thoughts and emotions with some negative situations in my life that has caused me great frustration, grief and disappointment. This talk has made me aware that I have allowed circumstances of life and disappointments to distract me and I have allowed myself to focus and put too much energy to negative situations that has only caused me pain, grief and disappointment. At one stage of my life I had become very aware of negative and positive thoughts and there affects, so I spent time training my mind to be quick and aware to choose positive thoughts only and not to allow myself to focus on the negative thoughts and emotion going on in my life. (emotions are there one minute and gone the next, right). As I became more and more aware of my thoughts I was quicker to not allowing negative thoughts and emotions into my life. This was so empowering and I was so much happier. 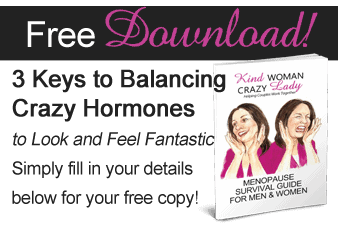 When I was suddenly thrown into menopause my life was tipped upside down, I didn’t know what hit me!!! Depression was a big part of my menopause because of the suddenness it hit me and the negative mind took over and had me captured for some years. I had to come back and retrain my mind to focus only on the positives once again. How awesome is our brain, we can slip up to the negative but quickly turn it back to the positive. I’m so pleased to have listened to this Ted talk. I am once again reigning in those thoughts and that’s the beauty of the brain because you can start again. The control on the outer world is limited and temporary but we can capture every negative thought and turn it to a positive thought. The more you do it the more positive thoughts you will have. Nurture the inner conditions of the mind and be conscious of your thinking and what you allow into your thought pattern. Take care of what you focusing on, negative or positive. Anger or love, resentful or forgiveness. What u choose will have either a positive or negative effect on your health. When you choose to focus more and more on the positive when negative situation arise it will get easier and quicker to get rid of the negatives in your life.